Great location situated in the heart of Manor Hill of Sun 'n Lake. 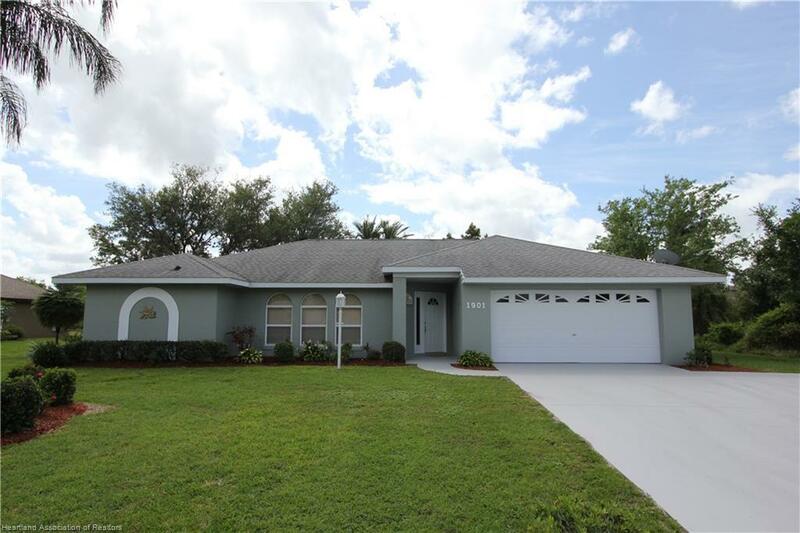 This home is move - in ready and totally remodeled. You will love this popular floor plan. Step into the foyer with the living room and dining room to the left. Straight ahead leads you to the flex-space room (family room, breakfast room or whatever you want it to be) and the kitchen to the left. All the flooring is new with a mixture of laminate wood and vinyl tile. The home features all new lights fixture, ceiling fans and freshly painted with trendy light grey throughout. The kitchen is completely new with cabinets, solid surface countertops, stainless steel appliances and a pantry. The flex-space features a matching cabinet coffee bar/or buffet counter with additional storage. The split floor plan offers a spacious master suite with walk-in closet and a master bathroom with a large vanity area and private water closet with a step-in shower. Sliding glass doors open to the screened lanai overlooking the beautifully landscaped backyard. The secondary bedrooms are off the family room and share a large bathroom. This bathroom can also serve as a future pool bath with the exterior door. Each bedroom has large walk-in closets. The kitchen has direct access to the family room and the dining room along with a pass through window to the screened porch. Pocketed sliding glass doors open from the dining room and the family room to extend your living area creating a perfect flow when entertaining. The exterior is freshly painted and the fresh landscaping offers beautiful curb appeal. This area of Sun 'n Lake is a short golf cart ride to the clubhouse, Island View restaurant, tennis courts and community center. If you are a golfer, this is the place to be with two championship golf courses!